Are you interested in the history of great kings and queens? Or do you want to know more about black history? Then read on! 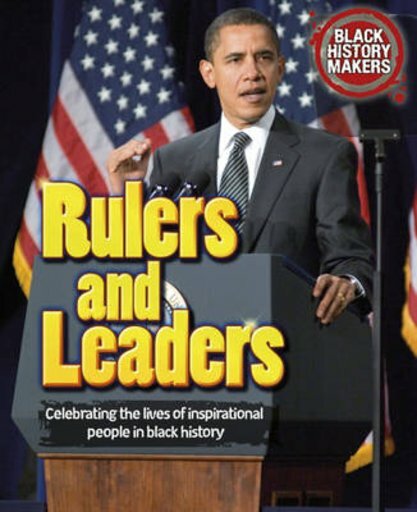 This inspiring book contains the powerful biographies of key black rulers and leaders. You’ll have heard of some: Barack Obama: the first ever black US president. Nelson Mandela – freedom fighter and iconic global statesman. But do you know the story of Haile Selassie, the iconic Ethiopian emperor? Or Queen Nzinga, who fought against slavery in the 17th century? Learn about each leader’s life, their rise to power and the impact they left behind.